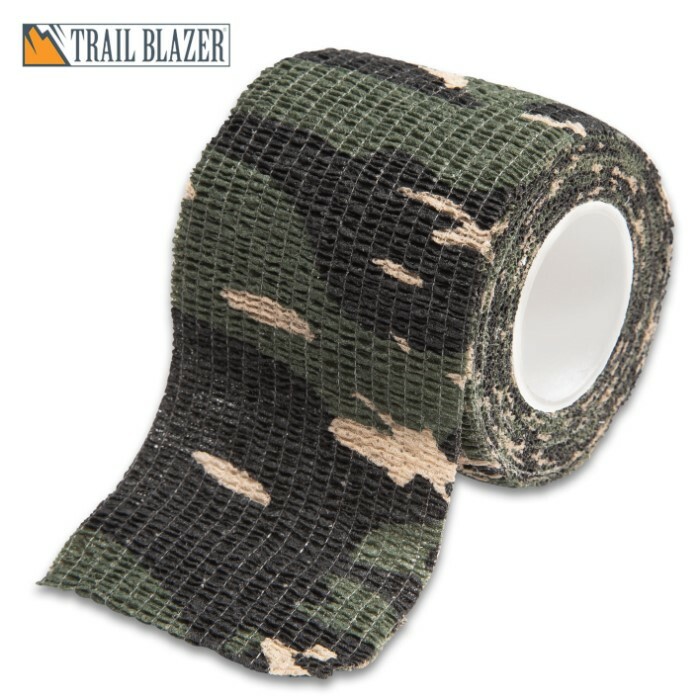 Flexible Self-Adhesive Woodland Camo Wrap - Gun Protection, Stretch Fabric, Reusable, Weatherproof, 2” Wide, 14 3/4’ Roll | BUDK.com - Knives & Swords At The Lowest Prices! Now you can hunt without worrying about scratching or nicking your equipment. 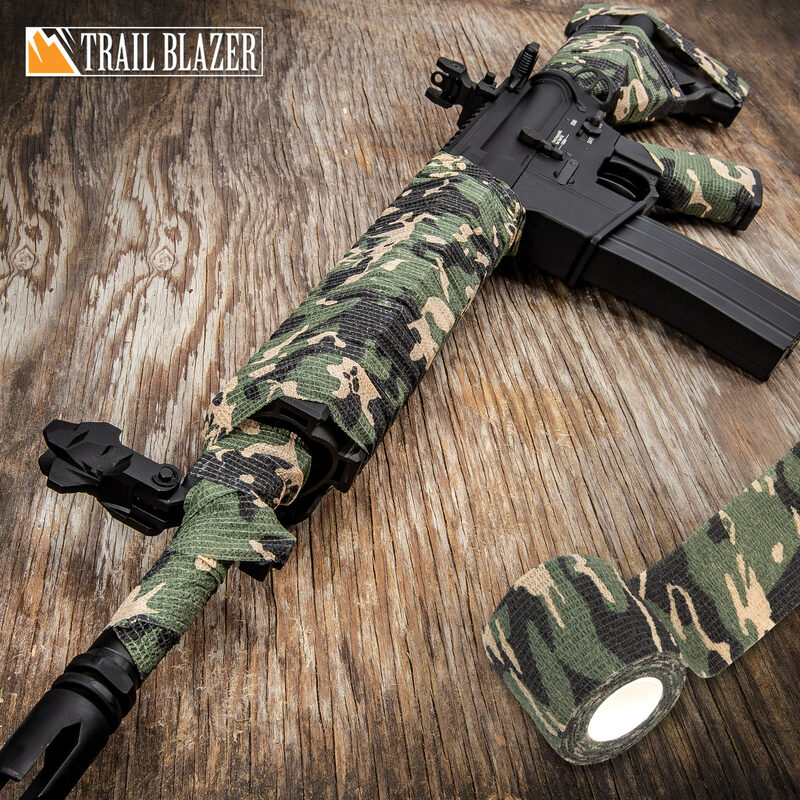 Our Flexible Self-Adhesive Woodland Camo Wrap is self-clinging for the ultimate protection! It also improves grip and insulates your hands from uncomfortably hot or cold surfaces. The heavy-weight flexible, self-cling fabric wrap stretches to conform to any object, without affecting functional controls. 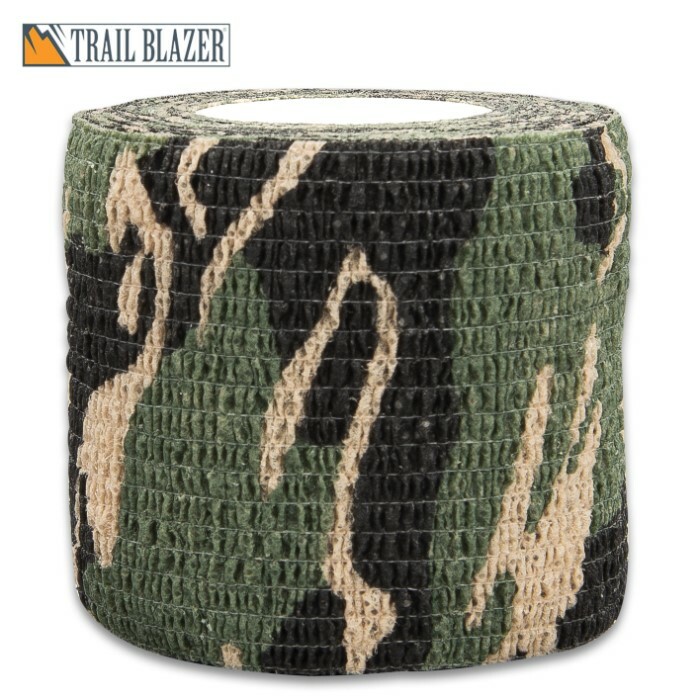 Wrap it around any piece of outdoor equipment to keep it from clanking against other objects, to reduce glare and to protect against dirt and debris. It is weatherproof, so that its adhesion is not affected by immersion in water. The reusable, washable wrap is ideal for weapons, scopes, binoculars, flashlights, knife handles and sheaths, ammo clips, plus, it can be used as a compression bandage for wounds.